If you want a solid typewriter that’s stylish and extremely easy to use, go with the Royal Quiet De Luxe. It’s American simplicity at its best. Everything about this typewriter is top notch. The typebars strike the platen with exceptional ease, making fast typing a breeze. Its black finish and chrome accent, mirror what writing is about, black words on white paper. This is a writer’s tool. Roll paper in platen, write. When you hit the end of a line and slide the carriage return lever, you’re met with a satisfying clicking sound. It’s a writing machine. The glass topped keys have a nice concavity, and with their smooth finish, you’ll find your fingers drawn to them day after day. They make you want to type. Like any well designed machine, the form is just as important as function. In the age of plastics, this keyboard feels real. It epitomizes what using a manual typewriter is all about, a connection with your words not found on a computer. And even in the world of manual typewriters, the glass topped key is king. You can find solid plastic keys, like on the Olympia SM-line, but there’s something more primal about metal and glass that speaks to the soul. 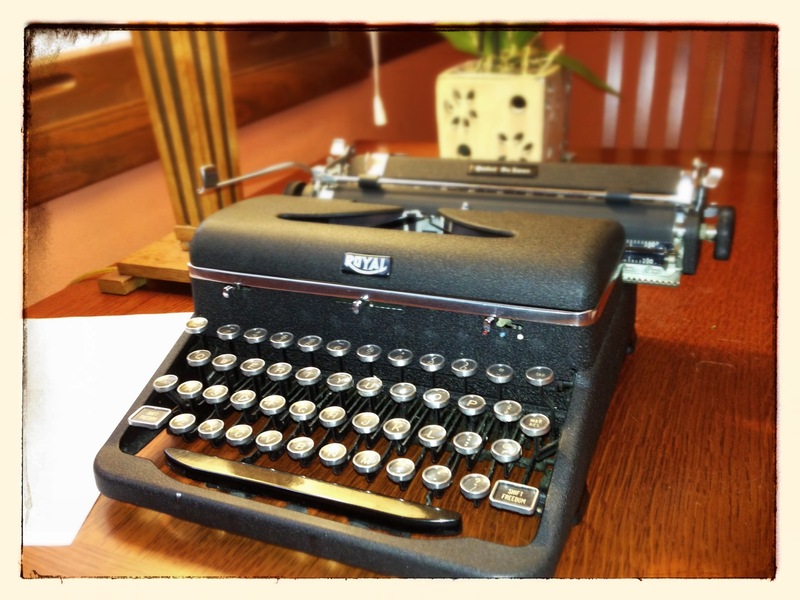 Every time you sit down at this typewriter, you’ll be energized. And as the name suggests, this is a quiet machine, even with a rock hard, ancient platen. A Royal Canadian! I haven’t logged many machines made in Canada. The only one was a Lettera 32. I prefer the Royal Quiet Deluxe made in the 1950s. Newer ones tend to have less issues. By then they were cranking up production for the personal typewriter. This is my first typewriter and I’m really loving it. Totally agree with your review. I wrote an article on medium that centers around my experience working with this machine. Keep up the good work and I would welcome feedback on the article!